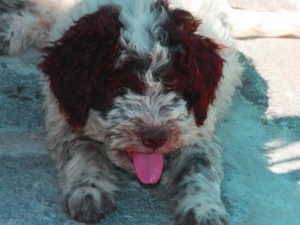 Lagotto Romagnolo owes its demographic growth in Italy mainly to the search for truffles. The number of people who in recent years have approached the truffles world has increased considerably. Newcomers have relied on the undoubted qualities of Lagotto Romagnolo. The fame of his exploits soon came to the ears of older hunters truffle. Wandering around the woods, there are less and fewer mestizos who strive for the truffle. Those who used mestizo to search for truffles are often not interested in the pedigree of their puppy. And then they have done other litters. The lagottos without pedigree have begun to grow. Puppies of which we know nothing about the consanguinity, much less the inherited pathologies. 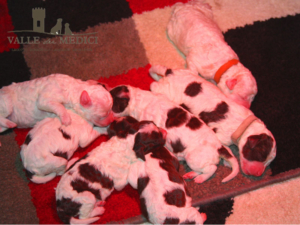 Despite this, the number of Lagotto Romagnolo officially present in Italy has grown. From the Enci data we went from 1127 dogs in 2007 to 2198 dogs in 2016. The Lagotto Romagnolo in a few years has gone from being a niche dog to a real pet dog. Many of the people who approach the truffle after some experience leave this hobby. Yes! It is an hobby, translated in Italian a pastime that takes time and passion. The pleasure of having a Lagotto Romagnolo has satisfied its owners even when they stopped hunting truffle. These in particular have advertised the excellent capacity of the Lagotto Romagnolo exclusively as a companion dog. And this process is constantly growing. The Lagotto Romagnolo is truly an exceptional dog. His fame soon arrived also abroad. There are numerous kennel clubs Lagotto Romagnolo all over the world, the American Kennel Club is among the most numerous. In Europe, Kennel Club Lagotto is present in Spain, France, England, Germany, Sweden, etc. The Lagotto Romagnolo breedings are now present in every country. They are not as widespread as in Italy, but such as to allow shows and national champions titles a bit throughout Europe. The peculiarity is that in these countries there is no mention of truffles. The breed is appreciated for its morphology, character and its excellent qualities as a companion dog. To be considered certainly among the breeds of dogs suitable for children. More and more often they approach this breed people and families who have never had a dog. Feedbacks are always enthusiastic. Those who have had dogs of other breed or mestizos gets informetions about Lagotto Romagnolo and remains fascinated by the descriptions of character and temperament. 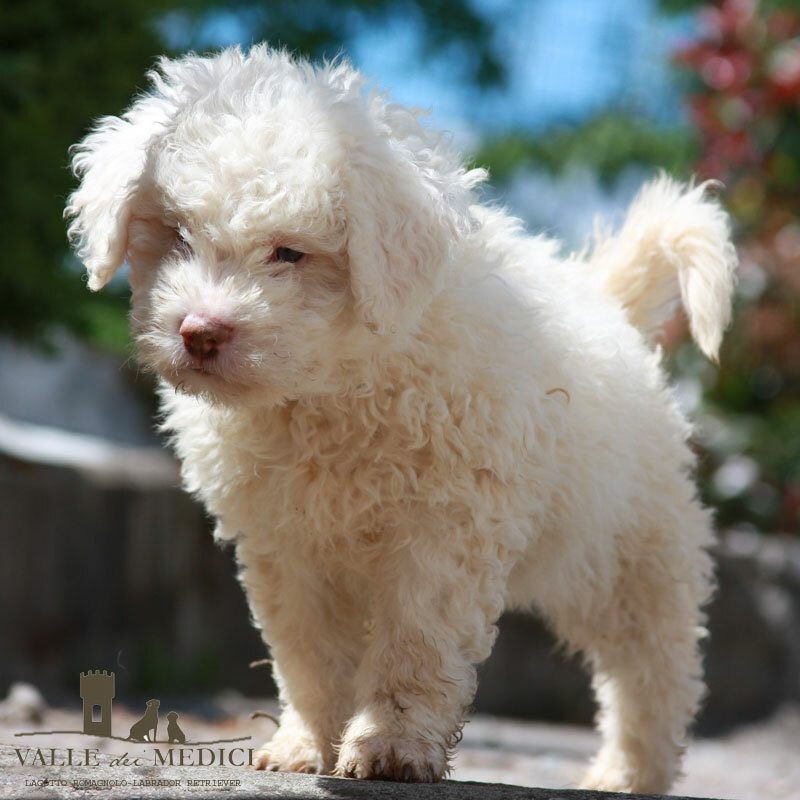 Talking with the owners of our puppies or with those who have a lagotto Romagnolo makes it clear how much is appreciated the coexistence with dogs of this breed. The Lagotto Romagnolo is giving a beautiful image of himself. In the long time it will bring this breed to be among the most appreciated in Italy and also in the world. Reading a National Geographic article the only thing that seems to be lacking for the definitive consecration of the Lagotto Romagnolo it is a triggering event. The National Geographic article shows how the popularity of many dog breeds is due to a Film. Then is the dog to be appreciated or not. Over the years the popularity of Dalmata, settler and Border Collie has followed. The no-easy coexistence with dogs of these breeds has seen fade from the advertising of the films. Over a decade they have lost their popularity as family dogs suitable for families. The Labrador and the German Shepherd otherwise have been able to maintain and increase their success even after decades from the film that they saw as protagonists. At the moment the Lagotto Romagnolo is creeping slowly into the undergrowth, forgive me for the truffle metaphor, waiting for this film of sure success. The date is 9/8/2017…. in case the film is really made!